Food City celebrates those who have helped keep our country safe and free. To show our appreciation to all of those who have served, Veterans and active military members EAT FREE on November 11. 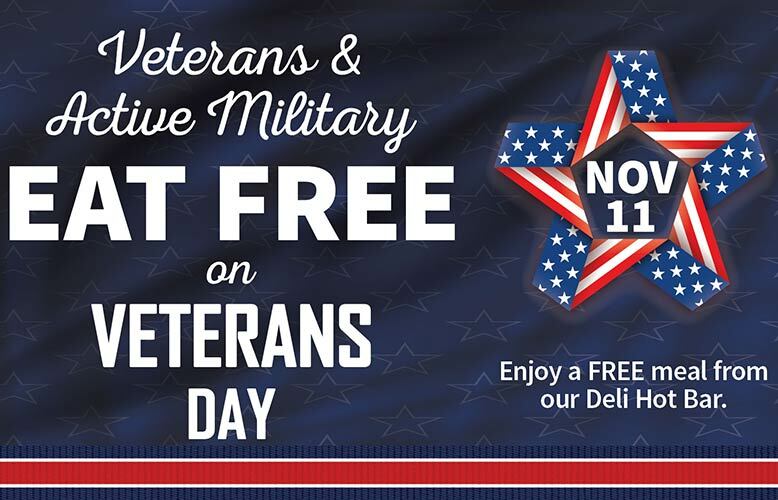 Just bring your Military ID card or proof of service with your ValuCard to any Food City Deli. Offer includes one hot bar meal, and a fountain drink of any size (up to a total value of 6.99). Limit one. Watch Food City's Salute to our Veterans.